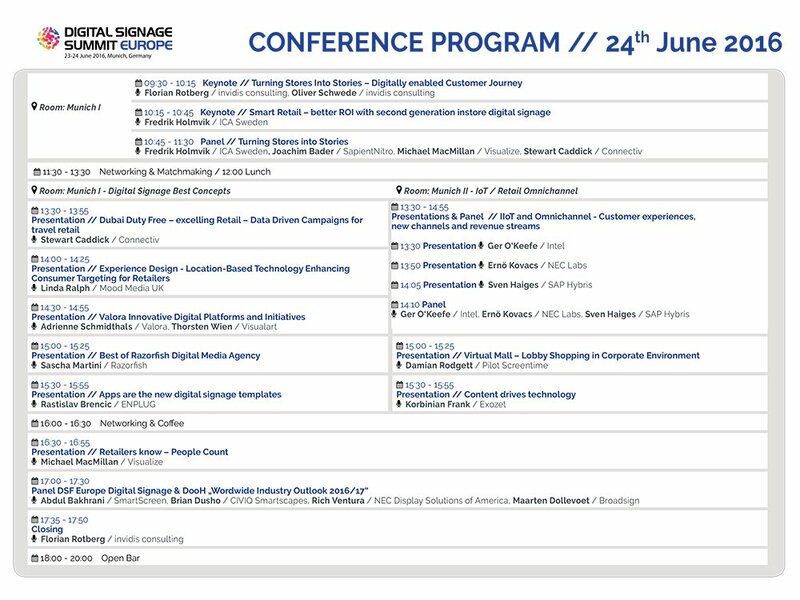 It’s only eight weeks to go until the Digital Signage Summit Europe presented by DSF Europe opens its doors; this year at an earlier summer date over two complete days on the 23rd and the 24th of June 2016. Now the first details of the DSS Europe conference programme – set to take place once again at the Munich Airport Hotel – have been released, with the motto: “Challenging the Fundamentals of Consumer Engagement – Strategies for Tomorrow’s Advertising, Retail and Public Spaces”. Continue reading the full article on the Digital Signage Summit website.